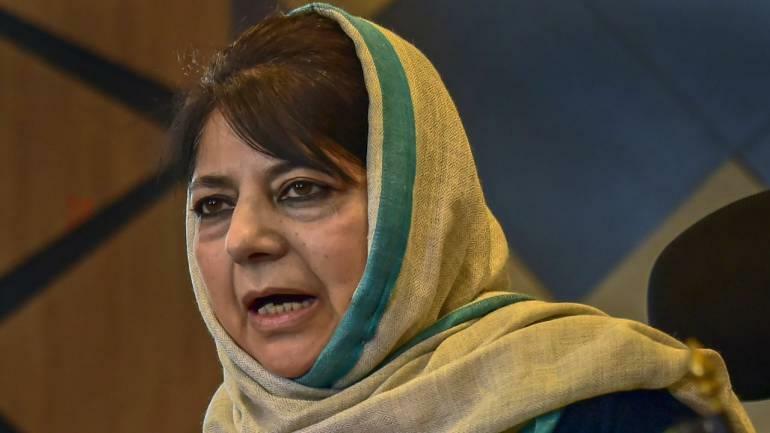 Srinagar, Jan 19: Former Jammu and Kashmir Chief Minister Mehbooba Mufti spoke to Union Home Minister Rajnath Singh on Saturday seeking release of a separatist leader on humanitarian ground. "Have spoken with HM requesting his (Shahid ul Islam's) early release on humanitarian grounds as his wife has suffered a brain haemorrhage," she tweeted. Shahid-ul-Islam, belonging to the moderate Hurriyat group headed by Mirwaiz Umer Farooq, was arrested by the National Investigation Agency in 2018 and was presently lodged in Delhi's Tihar Jail. Shahid's wife suffered the brain haemorrhage last week and has since been in hospital.